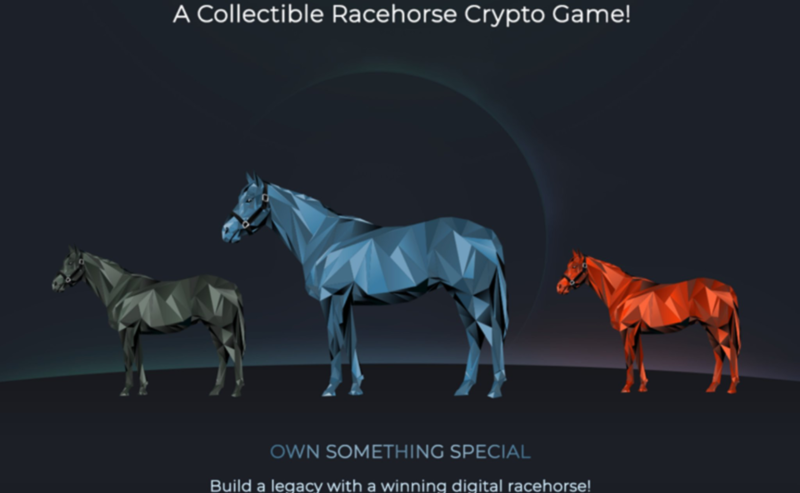 A Collectible Racehorse Crypyo Game! ZED is releasing the very first of its super rare digital racehorses. This will include the purest Z1 and Z2 gene pool of the Nakamoto bloodline and Z3 and Z4 of the Szabo bloodline. During the Early Release, 4,000 of these elite racehorses will be sold one at a time, at a fixed price. Owners of these limited racehorses will be automatically selected into a race gate, ready to take the track in April 2019. Buy and sell your racehorse through an auction system in the Marketplace ‌where you set the minimum reserve price. Each racehorse is statistically unique where racehorse prices will vary depending on the thoroughbred’s attributes and past performance on the racetrack. The more your thoroughbred races and the more it breeds, the more superior your racehorse’s legacy becomes. The greater the legacy, the greater the wealth you can create by commanding a higher selling or breeding price through ZED’s auction system. Do you own a super rare stallion? Or is your stallion unbeatable on the racetrack? Pass down your thoroughbred’s special attributes by placing it in the Stud Farm and allowing it to breed with others at a price that you deem is fair. The choice to breed rests solely with the female thoroughbred where they have the option to select which male racehorse they want to mate with, taking into consideration their bloodline, genotype, and other race critical statistic. ZED’s vision is to take the traditional mechanics of community-based gaming and relentlessly innovate in order to create something truly special. Join our multiple communities on Discord and Reddit and discuss all things related to your digital racehorse. Every racehorse purchased will be selected at random to participate in ZED. For those who cannot contain their excitement, there is the opportunity to buy-in to race events. Racing in ZED will run 24 hours a day, 7 days a week where races will be split into Group I, Group II and Group III categories all over the globe. Stallion A male thoroughbred that has an offspring. Mare A female thoroughbred that has an offspring. Colt A virgin male thoroughbred. Filly A virgin female thoroughbred. Bloodline The DNA of your racehorse. There are four bloodlines in total. Genotype or ZED Type How far away your thoroughbred is from its ancestors. Offspring When a male and female thoroughbred mate, they create a filly or a colt, in other words, an offspring. Gate Position where your thoroughbred will race from. (coming soon!). Buy-In Purchasing a gate position prior to a race (coming soon!). The stable is where all your very own racehorses and offspring live and where creating your legacy begins. You will be able to share your stable of racehorses and performance data with others to see where you stand within the ZED community. The stable is in essence your ‘user account’ page where you can manage your racehorses and see all their statistics and transactions on the blockchain. Currently, you can also view the latest purchases of racehorse and which stables they belong to by clicking on the Roster page in the header menu. Once you login with Metamask, you will be ready to rock and roll. If you have any questions, head over to our FAQ’s first. With the basics out of the way, we can now dive into the five main modes of ZED. There are four bloodlines in ZED; Nakamoto, Szabo, Finny and Wright. Each bloodline has certain qualities and differing levels of rarity. There are 28 possible breeding combinations with only 4 types of bloodline outcomes. To learn more about bloodlines, check out our two part blog post here and here.